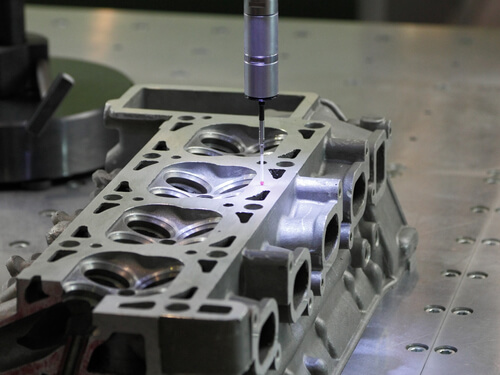 A coordinate measuring machine, frequently referred to as a CMM, is an integral player in the world of parts inspection and quality control procedures. In order for a product to meet with customer approval, it must first meet the requirements set forth by parts inspection and quality control. In metrology, a CMM is one of the most common pieces of equipment used during inspections. It is, in fact, very much in demand be at the metrology lab or the production floor. Because the lab and the production floor are not located in the same place, it becomes necessary to transport and transfer the coordinate measuring machine. This is where you can run into problems. Many of the parts are large and the process of moving a CMM from one place to the other is arduous and long. What happens all too often is that bottleneck issues arise during transport, and that means a work slowdown. How can this be avoided? Has your company invested in portable metrology equipment yet? This is a solution to otherwise having to constantly load and unload the CMM and is thereby a solution to improving quality control as well. This portable device will encourage efficient, more reliable measurements achievable during any step of the process of manufacturing; including measurements which can be taken right on the production floor. By taking measurements more often and at different stages throughout the production process, the need for moving the CMM becomes less and less. Quality control operators become responsible for measurements rather than waiting until the CMM is moved and settled in for the end process of a final inspection. There are, however, certain measurements that require the use of a CMM, so it must be at the ready. Increased accessibility to the CMM can be assured by taking measurements directly on the shop floor and prioritizing those measurements. Valuable time and money is lost by moving hugely dimensioned parts for them to be measured elsewhere. Rather, would it not be preferable to use a portable metrology tool to do the measuring of such large parts on the shop floor? Only highly experienced and trained operators are allowed to use a complex metrology instrument like a CMM. But a CMM operator would not need to intervene as much if, at different stages of the game, a more user-friendly measuring tool was used for inspections. More operators would be able to use this tool meaning that a higher number of measurements could actually be performed during more stages of production. More measurements along the way can only increase the possibility of parts passing the final inspection by an actual CMM. The highly qualified operator performing the final CMM inspection will analyze contentious cases, make final compliance reports, and pass or fail whatever is being inspected. Use CMM’s for only the cases which are most complex and determine any actions that need to be taken to correct faults. More seamless random fault detection can be achieved through mass production with sampling control. Parts that are questionable can be stored separately from parts that have passed random inspections along the way. These “bad” parts can be looked at later, with the CMM, to make sure that they will not pass. Nearly 80% of the load can be taken off of the CMM’s part measuring by mass production with systematic control. Take a maximum number of parts and perform a large number of measurements on them without the use of the CMM. This FAI, or first article inspection, also lessens the time that was formerly needed to move parts and the CMM from location to location. Is It Absolutely Necessary to Use the CMM? CMMs have limitations and advantages. They have a non-extendable and defined measurement volume. The measured part must be moved to the lab because the CMMs are considered a piece of ‘fixed’ laboratory equipment. The advantage of CMM’s, however, is the fact that they are measurement instruments capable of delivering very precise and automated results. Clearly, they are an invaluable part of the metrology industry and must be dealt with carefully yet expediently. What Can Variable Gaging Do For You?